Adalinda the Singing Serpent and her daughter Arya the Dragon are truly beautiful. Adalinda’s throat is shallow that expresses her singing. We spray painted one in bronze to make it look like a statue. We also fell in love with her Odile The Swan model. We kept printing it in different colours. 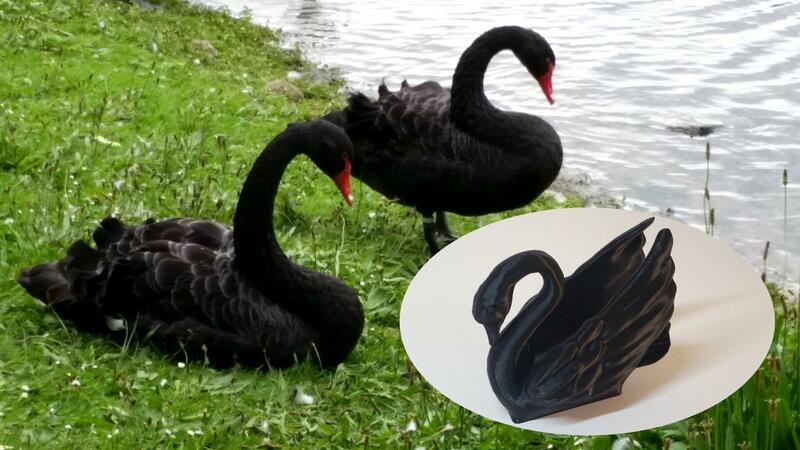 3D printed in black, it reminded of the swans at Leeds castle in Kent, United Kingdom. 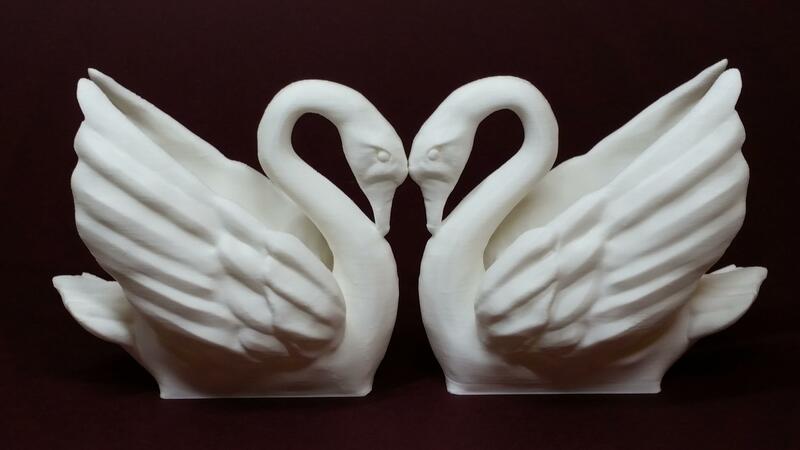 White swans were perfect for Valentine. Louise Driggers’ Sad Face action united 3D printing community in a fight against those who disrespect designers’ rights. 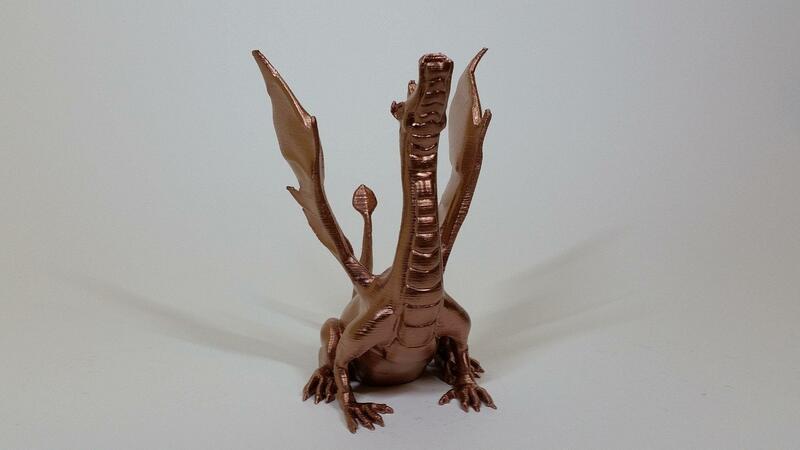 This happened when an Ebay seller took more than 2k designs and pictures from file-sharing websites, like Thingiverse, and started selling the prints. This seller has also been using the stolen photographs for advertising purposes. Sad face action was widely discussed in the comment section under Louise’s model on Thingiverse. It accumulated more than 800 comments at the time this article was written. Also, leading YouTubers like 3D Printing Nerd, Maker’s Muse and Thomas Sanladerer supported Sad Face action in their videos. All this raised awareness of this issue and generated a lot of response on all possible social platforms. This has started an uneasy battle against Creative Commons licence abusers. British person moved to Texas in 2013. 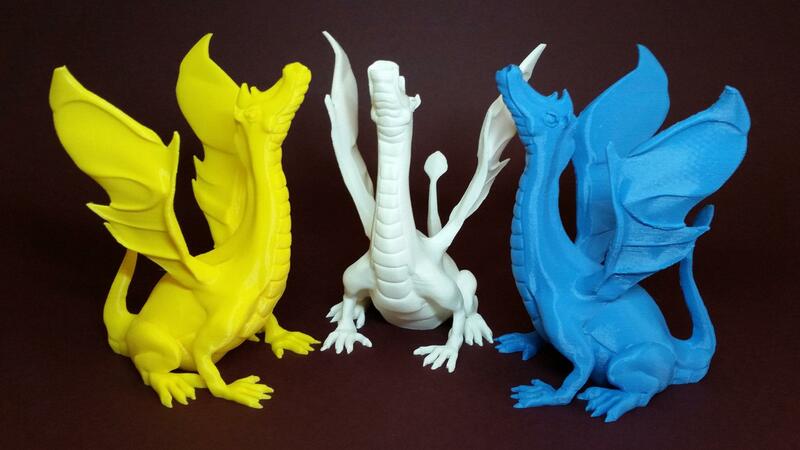 3D model maker and printing enthusiast. Interested in articulation and assemblies. Fan of support-free models.